The Jamaican Business Directory by the Negril Travel Guide.com has recently created 37 Facebook Groups to provide information about Jamaican to Facebook users and to aid Jamaican tourism related properties, businesses / organizations highlight and promote their services, and activities on Facebook. All Jamaican Business Directory Facebook Groups are managed by Barry J. Hough Sr. - Publisher of Jamaican Travel Guides - Social Media Marketing Consultant. You will find information and links to each Facebook Group established below. Please, follow the links to view posted information, or to post your business or organization information in the appropriate Facebook Groups. You are encouraged to join Groups, post in, share, and like the Facebook Pages so that postings receive wide-spread Internet exposure about Jamaica and its tourist and business community. Thank you for your efforts...! The Jamaican Business Directory welcomes you to post informaton about Hanover - Lucea Calendar of Events in this Group. The Jamaican Business Directory welcomes you to post informaton about Hanover – Lucea in this Group. The Jamaican Business Directory welcomes you to post informaton about Negril Calendar of Events in this Group. 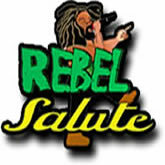 The Jamaican Business Directory welcomes you to post informaton about Negril Concerts & Events in this Group. The Jamaican Business Directory welcomes you to post informaton about Negril Jamaica Press Releases in this Group. The Jamaican Business Directory welcomes you to post informaton about Negril News in this Group. The Jamaican Business Directory welcomes you to post informaton about Negril Restaurants – Dinning in this Group. The Jamaican Business Directory welcomes you to post informaton about Negril Shopping in this Group. The Jamaican Business Directory welcomes you to post informaton about Negril in this Group. The Jamaican Business Directory welcomes you to post informaton about Negril JA in this Group. The Jamaican Business Directory welcomes you to post informaton about Negril JM in this Group. The Jamaican Business Directory welcomes you to post informaton about Where to Stay in Negril in this Group. The Jamaican Business Directory welcomes you to post informaton about Jamaican Businesses and Organizations in this Group. The Jamaican Business Directory welcomes you to post informaton about Jamaican Calendar of Events in this Group. The Jamaican Business Directory welcomes you to post informaton about Jamaican Concerts & Events in this Group. The Jamaican Business Directory welcomes you to post informaton about Jamaican Restaurants – Dining in this Group. The Jamaican Business Directory welcomes you to post informaton about Jamaican Shopping in this Group. The Jamaican Business Directory welcomes you to post informaton about Jamaican Taxi and Tours in this Group. The Jamaican Business Directory welcomes you to post informaton about Where to Stay in Jamaica in this Group. The Jamaican Business Directory welcomes you to post informaton about Kingston Jamaica Calendar of Events in this Group. The Jamaican Business Directory welcomes you to post informaton about Kingston Jamaica in this Group. The Jamaican Business Directory welcomes you to post informaton about Mandeville Calendar of Events in this Group. The Jamaican Business Directory welcomes you to post informaton about Mandeville Jamaica in this Group. The Jamaican Business Directory welcomes you to post informaton about Montego Bay Calendar of Events in this Group. The Jamaican Business Directory welcomes you to post informaton about Montego Bay in this Group. The Jamaican Business Directory welcomes you to post informaton about Ocho Rios Calendar of Events in this Group. The Jamaican Business Directory welcomes you to post informaton about Ocho Rios Jamaica in this Group. The Jamaican Business Directory welcomes you to post informaton about Port Antonio Calendar of Events in this Group. The Jamaican Business Directory welcomes you to post informaton about Port Antonio Jamaica in this Group. The Jamaican Business Directory welcomes you to post informaton about Falmouth Jamaican Calendar of Events in this Group. The Jamaican Business Directory welcomes you to post informaton about Falmouth Jamaica in this Group. The Jamaican Business Directory welcomes you to post informaton about Trelawny Jamaican Calendar of Events in this Group. The Jamaican Business Directory welcomes you to post informaton about Trelawny Jamaica in this Group. © Barry J. Hough Sr - BarryJHoughSr.com - All Rights Reserved.